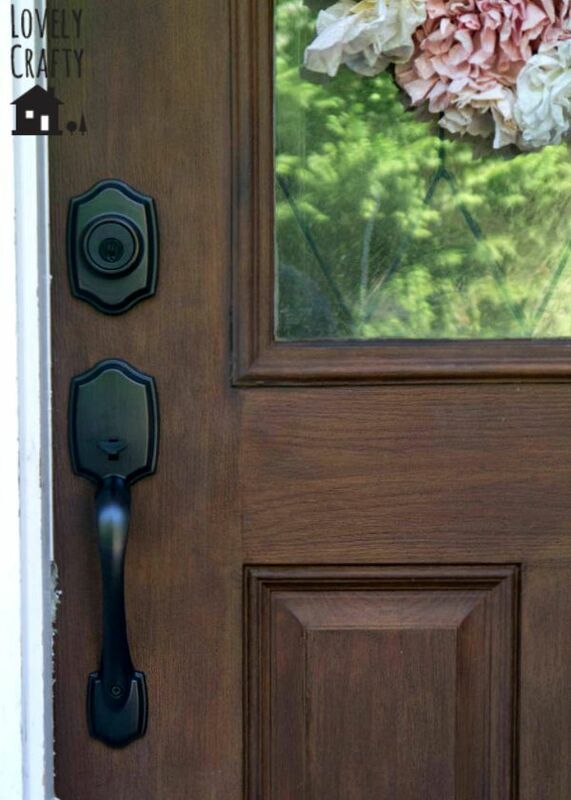 A long, long time ago (2011, to be exact), I did a quick fix on my front door hardware with some spray paint when I did a faux wood finish on it with gel stain. I probably didn’t prep the surface very well, and I really should have sealed it with something. In any case, it hasn’t help up very well in the last 4 years. 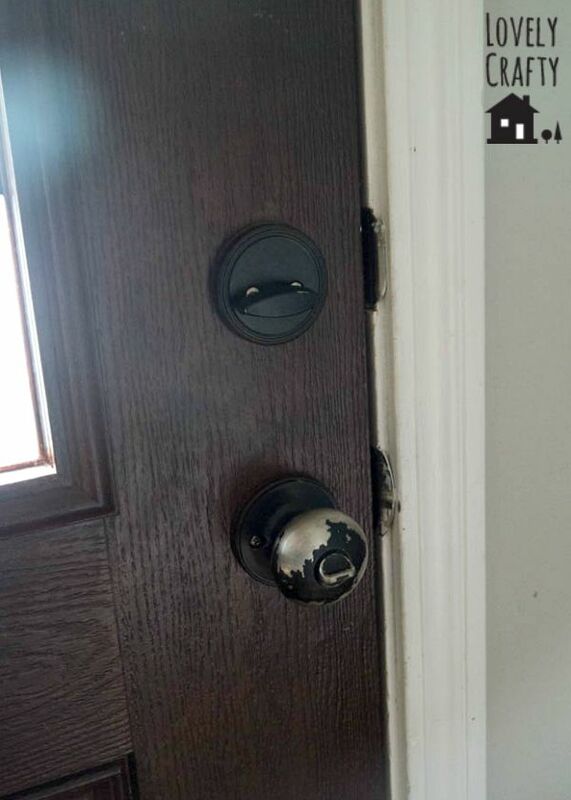 I was considering giving it another makeover, when Mike decided he’d had enough with the improper latch and announced that he wanted to replace the hardware completely. Fine by me! We went to Home Depot to look at lock sets. I’ve perused this area before, so I know they can be expensive. Fortunately I cam prepared by finding a few on Amazon first to compare prices. We ended up getting this Kwikset Smartkey set on Amazon for about $40 less than the equivalent at HD. 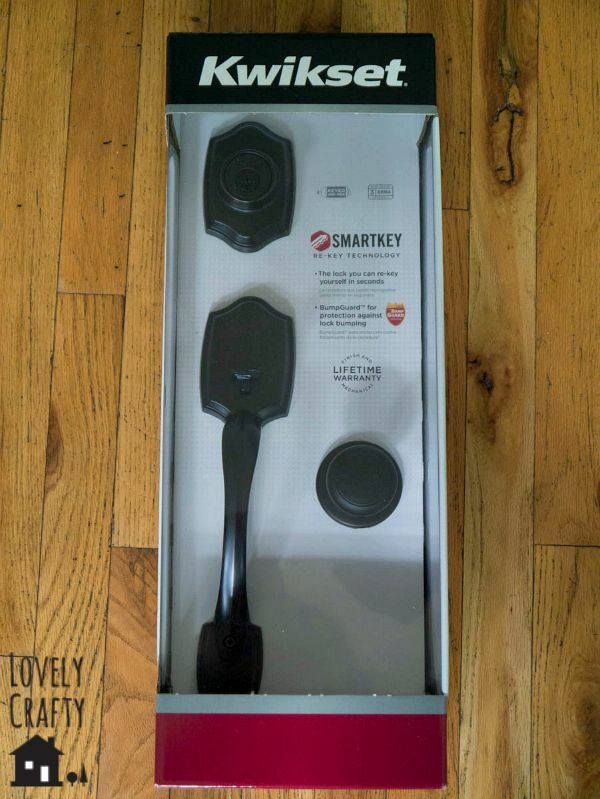 I was intrigued by the Smartkey feature which would supposedly allow us to keep our current keys. Modern technology!! I think the final result was SO worth it. 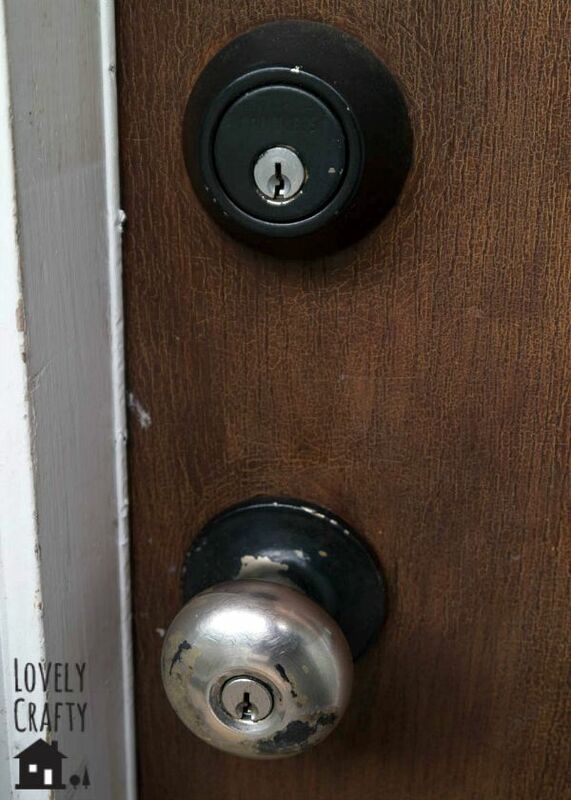 Oh, and the SmartKey feature was super easy and effective – we didn’t have to replace our keys. Now we just have to fix all the cat scratch damage on the bottom half weather stripping (replacement is really the only option) :/ The fun never ends! 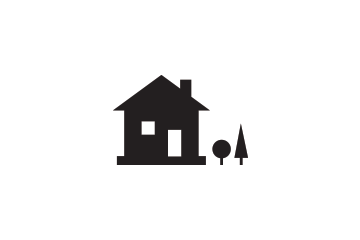 Love your house! 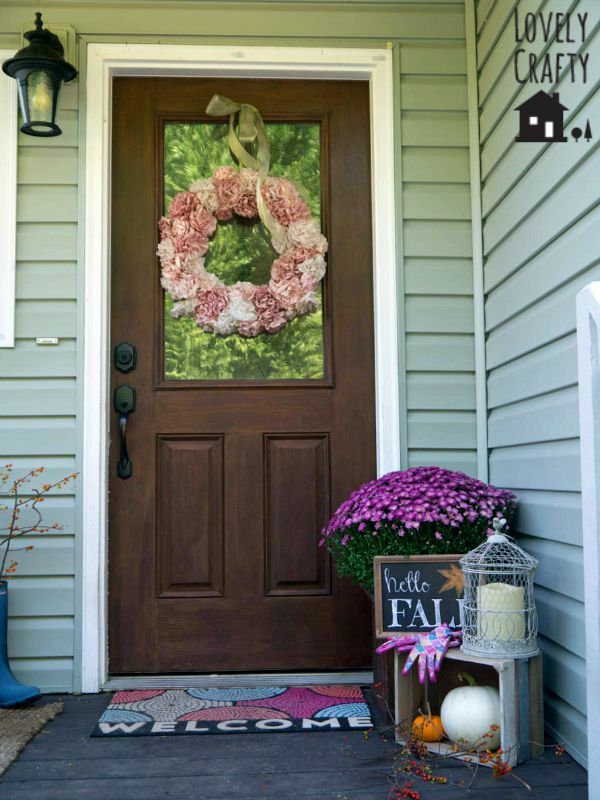 May I ask 2 questions – how did you get the window of your front door to have that green scenery on it? 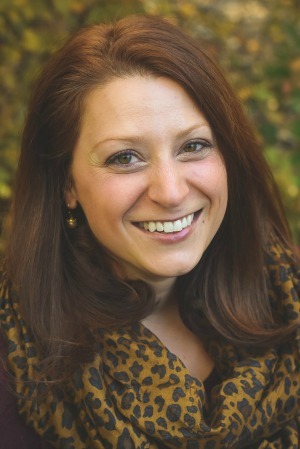 And would you happen to know the name of your paint color? We’re looking to paint our house exterior and love yours!